Winter is coming! Begin with clean windows, patios, roofs and more with our skilled technicians and competitive prices! If you haven’t decided how you want to decorate your home for the coming months, begin with cleaner windows. The rest will come to you. That’s why you have Arizona window washers. Our services will save you time as well as save you the stress of purchasing or renting equipment and harsh chemicals. Everything we use will keep you and your loved ones safe and healthy. Sun City is a lovely town with roughly 40,000 people, but few children but nearly half of the homes containing married couples. Temperatures in winter tend to average around 55 degrees and in summer, tend to hit the low 90-degree area with annual rainfall barely reaching 9 inches. This city is often considered a retirement community (with the low numbers of households with children and the vast numbers of activity centers and clubs) but that doesn’t mean it’s boring or sad. This town is booming with happiness and activity. So, whether you live here now, are considering moving, or know someone in this lovely little town, consider the services of Arizona Window Washers to decrease the stress of climbing on ladders to clean out those pesky gutters! Our window cleaning solutions will keep your windows clean for months. Saving you time, money, and energy to join another club or take up a new hob. Surprise city jumped from a population of just under 31,000 to over 117,000 between 2000 and 2010! 21.5% of households contain children and nearly 70% contain married couples with the school district, Walmart, and the city providing the largest numbers of jobs. Temperatures in Surprise are very similar to that of Sun City with summers around 90 degrees and winter temperatures not going below 40, even at the minimum, and just over 9 inches of rain annually. Try to keep a cleaner, healthier home for you and your family. Keep mold and mildew at bay with our pressure washing systems. Also, keep your gutters and roofs clear of damaging water and debris. Stop worrying about what window cleaning products to purchase when you can hire our wonderful professionals to clean them to a pristine shine guaranteed to last up to 6 months with minimal additional cleaning. With the time you save on cleaning, why not become more active in the community using the City Calendar to keep up with City Council meetings or check out some of the hot spots such as libraries, regional parks, golf courses, and more. Contact us today to schedule cleaning services. We’ll do one simple service in a day or we can do multiple. If you want, we can clean your windows, gutters, roof, solar panels, and patio in one visit. Just let us know ahead of time what services you desire. So we can work out the date/time as well as any possible discounts for bulk services. Never underestimate the power of a fresh power washed home and sparkling windows. 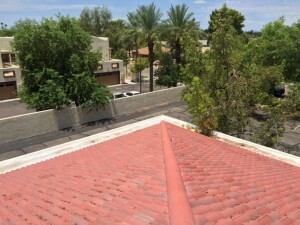 This entry was posted in Arizona Window Washers, Window Cleaning and tagged arizona window washers, sun city, surprise city, window cleaning, window cleaning services, window washing. Bookmark the permalink.